Seats for the European inter-pro have all been snapped up. But there is still a chance that returned tickets could go on re-sale. THE HEINEKEN CHAMPIONS Cup quarter-final meeting between Leinster and Ulster has been provisionally sold out after tickets were put on general sale at 10am this morning. 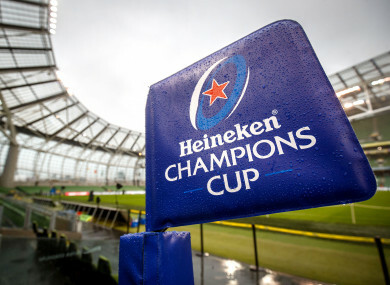 The 30 March clash will be the first time two Irish provinces have met in knockout European competition since Leinster defeated Ulster in the 2012 Heineken Cup final and it promises to be a full house in the 51,000-capacity stadium. The sell-out is subject to returns after Ulster were allocated 25% of the tickets and Leinster held a pre-sale for season ticket-holders and other stakeholders. 15,000 tickets went on general sale this morning and the majority were snapped up by lunchtime. Email “Aviva Stadium sold out for Leinster v Ulster Champions Cup clash”. Feedback on “Aviva Stadium sold out for Leinster v Ulster Champions Cup clash”.